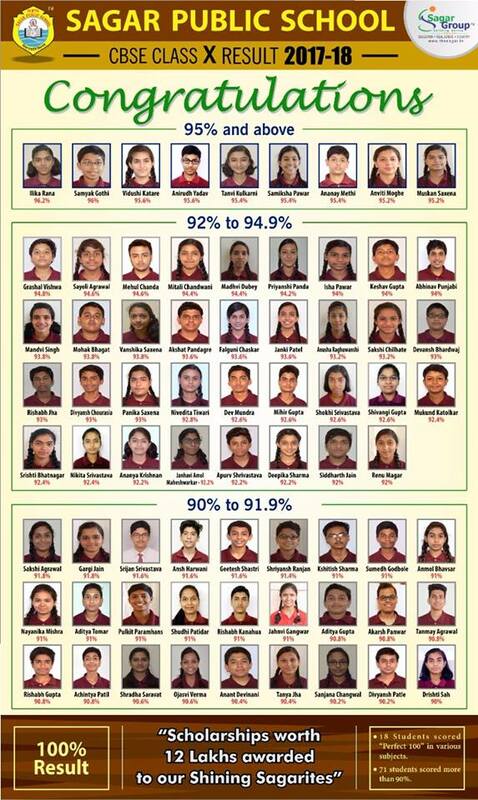 Recently, Class X result of CBSE was declared in which 17 students scored Perfect 100 in various subjects like Social Science, Science and Mathematics, and took the school to greater heights. 64 students scored above 90% and set a scored a record for youngsters to supersede. Overall Topper: Ilika Rana scored 96.2%.